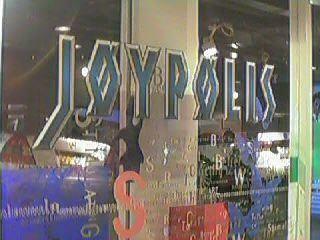 Kyoto Joypolis (京都ジョイポリス) was a Joypolis indoor theme park that opened in September 1998. Located on the tenth floor of the JR Kyoto ISETAN building, Kyoto Joypolis was a relatively small venue and did not feature many of the large attractions typical of the Joypolis brand. Little is known about the Kyoto branch - it was closed in August 2002 (after less than five years of operation) due to low visitor numbers.